Lake Tahoe is well-known as a vacation/recreation destination, and so we made a visit between January snowstorms to see what the Lake has to offer in winter. “We were like a couple of kids,” Robin said after we got home again. I’m not sure I completely agree, but we did have fun in two days at the South Shore. Who wouldn’t? We did everything we could find to do, which included a visit to the Heavenly Valley ski slopes via gondola, snowmobiling through the forest high up the mountain above the lake, and cruising on the Dixie (to say nothing of the food). But we started with a sleigh ride, and we took Jones along. 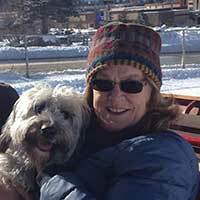 I had taken Jones to Lake Tahoe before, but I had been careful to keep our distance from anything disturbing. It turns out taking him on a sleigh ride is different. 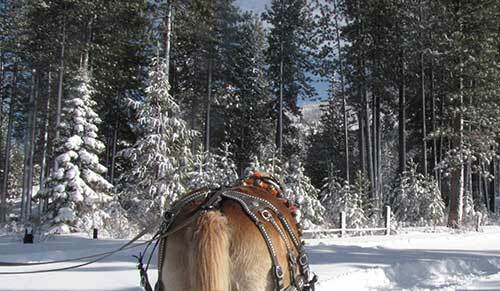 Once he realized that the large engine attached to the front of the dingus we rode in was a horse — a nice old caramel-colored Belgian draft horse named Duke who’s been pulling the Borges sleighs for years — Jones went ballistic and launched into an endless, mindless spasm of barking. We started by cooing soothing phrases to him, and ended up wrestling him down to the floor of the sleigh and wrapping a heavy lap robe around his head while he continued to scream his head off, endlessly, mindlessly barking. Our chauffeur Veronica, who had trouble being heard over the endless, mindless barking, agreed to a quick detour back to the gate. We replaced Jones in the car in the MontBleu parking lot and resumed our journey. And suddenly we could see the world around us, glistening white after the fresh snow overnight, pristine except for the furrows left by the earlier sleighs that day. 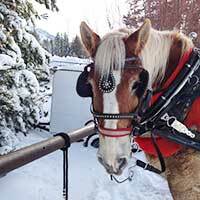 Hot bright sun in a cool blue sky, trees black against the snow, Duke’s big rump rhythmically working as he hauled us along, his palomino tail glittering golden. . . . Soon enough we’d calmed back down again, and by the time we returned to home base — there are 30- and 45-minute excursions — we were restored to equilibrium. In retrospect we don’t think we tipped Veronica enough. If you know the history of the region, ask your chauffeur to abandon the guidebook script about the Lake, and talk more about growing up in the family business instead. Have her tell you stories about her grandpa Dave who started the business in 1967 and who so loved Robert Frost’s poem “Stopping by Woods on a Snowy Evening” that he memorized it, and at an appropriate spot along the way he’d pull the sleigh to a stop and recite it for his customers. Veronica could recite it by the time she was 5. A few years ago when Bob Dylan and Willy Nelson appeared together at an Outdoor Concert at Harvey’s, we had supper before the show at the Sage Room. 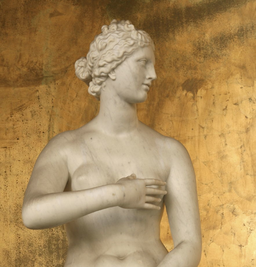 Robin has never forgotten what she praised that night as “the best steak of my life!”, so we returned to the Sage Room for further corporeal bliss. On Saturday morning we wanted a buffet. We’re on vacation aren’t we? We didn’t look at Harvey’s, did look at the Hard Rock without finding one, found one closed at Mont Bleu and ended up on the 18th floor of Harrah’s, at the Forest Buffet. We had a splendid view outside and a magnificent feast within, from chilled shrimps way over on the west to sushi being rolled fresh way over on the east and a carving station halfway in between. Part of the fun of a buffet is the management challenge: only the good stuff, and in just the right proportion and amount. We left Harrah’s happy. 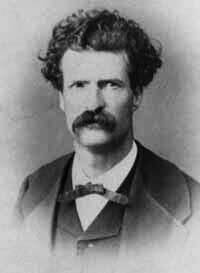 One of the most memorable episodes in “Roughing It” recounts how young Sam Clemens hiked up to Lake Tahoe from Carson City. He told how he and his companion staked a timber claim and accidentally set the forest on fire. The two escaped with their lives by rowing their skiff out into the lake and waiting for the flames to die down. But for all its admirable qualities as prose that flirted now and then with poetry, Twain’s description of his Tahoe excursions — he actually made two visits to the lake, but conflated them into one in his book — lacked geographical specificity, and scholars ever since have wondered just where it was that he had made camp. 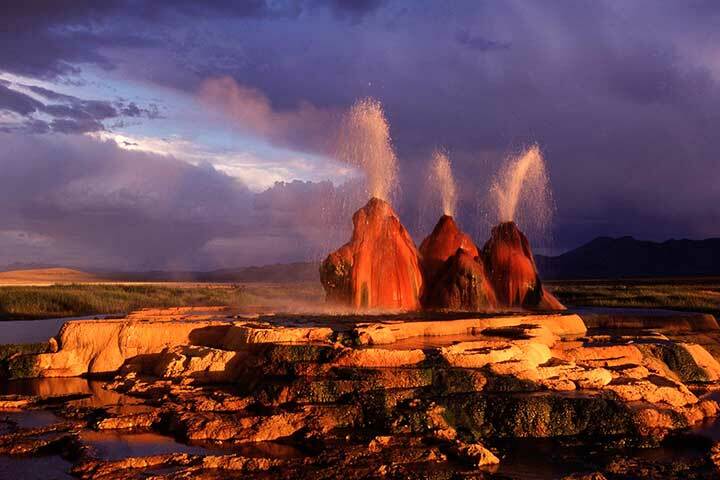 Speculation placed the spot at several different places on both the Nevada and California sides of the lake, but it was just last summer that a group of curious Twainiacs figured out exactly where it was. 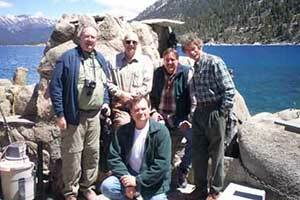 The forensic literary investigators who found Sam Clemens’ Timber Ranch: Schmidt, Stewart, Watson (seated), Makley, Layne. 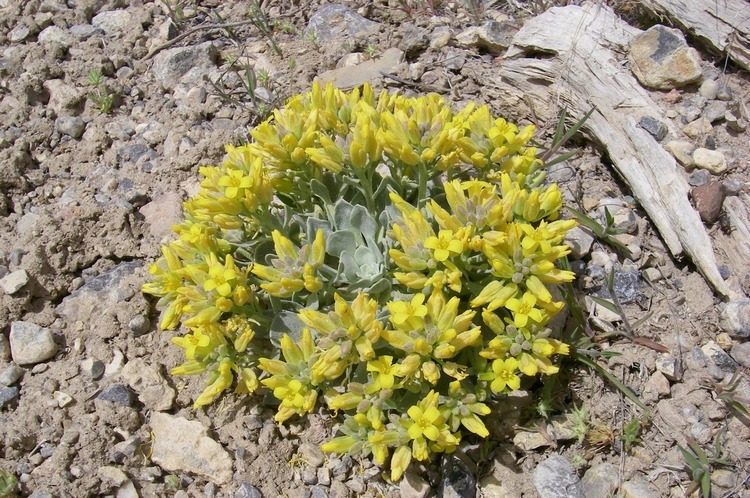 Lead investigator in this effort was Bob Stewart, who had already become conversant with Clemens’ Nevada adventures from the research he did for his book “Aurora, Nevada’s Ghost City of the Dawn”. The weather for our explorations was a visitor’s dream, and we felt a little bit as if we’d inadvertently stepped into a Visit Lake Tahoe poster as we walked the few hundred yards into California from Harrah’s, taking in the US Forest Service Visitor’s Center on the way. The gondola that carries passengers from lake level to the mountaintop is an attraction all year around because of the spectacular views of the lake it provides. The journey takes long enough that the sheer thrilling strangeness of the experience begins to wear off and it’s possible to contemplate the scope and challenge of the engineering and construction project that created it. And all the while you’re floating rapidly upward, somewhere between heaven and earth. There’s a viewing platform high above the lake where each gondola pauses long enough for passengers to step off and spend a few minutes taking in the sight that greeted Fremont and his party in 1844. The project seems more impressive than ever as you take in the vastness of the lake, before stepping aboard another pausing gondola to rise up higher still, pop over the crest, and swoop down into the little bowl called Heavenly Valley, more than 9,000 feet above sea level. It’s a big playground. Ski lifts climb the slopes east, west and south. Large areas are devoted to ski instruction, and there’s an innertube slope with a half dozen lanes. Everything is carefully manicured and managed, and everyone is having fun. The Lodge is immense, serving food and drink to the multitudes into the night. The night actually begins early up here, with the daily Unbuckle Aprés party starting at 3:30 with half price drinks, live DJs and food specials until 5:30. We didn’t stay that late, even with the Heavenly Angel dancers performing — they only work Fridays and Saturdays — because we were booked elsewhere, with miles to go before we sleep. We had lunch at the Red Hut a little way up Kingsbury Grade, and I have a theory, based on their cheerful friendliness, that waitressing here is a day job for the Heavenly Angels. Food’s good too. Our next destination was the Zephyr Cove Lodge, a pleasantly old school Lake Tahoe landmark with 32 cabins, an RV park and campsites for guests. 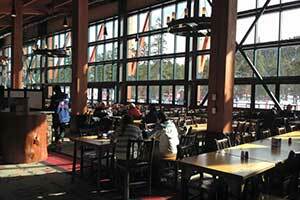 The main building by the highway has the restaurant, a gift shop and the check-in counter for the Snowmobiling customers. We signed in, collected our helmets (cold-weather clothing also available) and boarded the shuttle bus that took us a few miles farther east and higher up on US 50 to where a zillion snowmobiles were waiting at a Forest Service trail head. This event turns out to be about 20 miles of riding in a single file up and down hills along trails that curve every which way, rising and descending through the beautiful forest, emerging at one point at an overview of the Lake and pausing at another for a cup of hot chocolate. Even for a novice like me the machine was easy to drive, mildly challenging until the throttle control becomes familiar, but requiring my full attention to hold it on course as we jounced over the well-traveled roadway. This isn’t a big problem, but it’s definitely an inconvenience, as you can’t really enjoy to the fullest the extraordinary landscapes you’re churning through. Your passenger can though, and Robin assures me it was a spectacular ride. 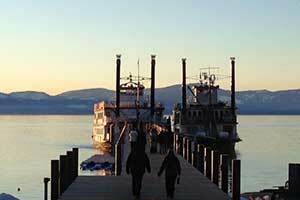 By the time it was over, and we had returned to the Lodge and turned in our helmets, it was near sundown, time to stroll down to the lake shore and out on the jetty to board the Dixie II — the Tahoe Queen is docked here as well — for what is called the “Pints & Paddles Cruise”. The pints are served over the small bar on the second deck, and the paddles propel the craft in an apparently aimless wandering around on the lake for an hour and a half while the pints are being consumed. There’s a small stage and a dance floor surrounded by tables that were completely full by the time the Dixie cast off and backed away from the shore. Last month we reported on the burgermania we experienced cruising US 50 across Nevada, and no sooner did we arrive at Lake Tahoe on this trip than we found another candidate: Neighborhood Burgers, at 219 Kingsbury Grade, just uphill from the Chevron station. Oh man. You select the makings for your custom burger from a printed form; circle your choices and hand it in; what you get back is smackdabilicious! Immediately Ike & Martin began to make music and didn’t stop until the Dixie nudged up against its dock again. Most of the crowd was young — millennials! — and clearly enjoying themselves, but even people as old as me were having a good time. Samuel, the only waiter, was the busiest man at the lake during this hour and a half. This ‘party boat’ cruise is offered through the winter on Wednesday evenings, a bargain at $20. Maybe Robin was right, maybe we were like kids. It was fun. Robin and I were among the dozens who braved the crisp February air to crowd into the park behind the Pershing County Court House in Lovelock. We were there to lock our love. Up to now it has only been bound and gagged. Blissful citizens formed lines while staffers from the Commission on Tourism inscribed their names on the shiny little heart-shaped padlocks, which were then clipped to the chain around the roses on the center of the little park. 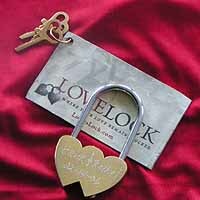 One cheerful man inscribed the names of two women along with his on the padlock he clipped to the chain, while cynics from Elko and Winnemucca were inquiring about opening a lock-cutter franchise in the Court House basement. 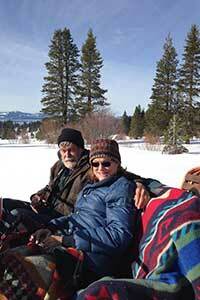 But NCOT Executive Director Bruce Bommarito brought the starry-eyed spectators back to earth. Coincidentally, the local Casino — Sturgeon’s — has been sold to American Wagering Inc. Surely they’re betting on the power of love. 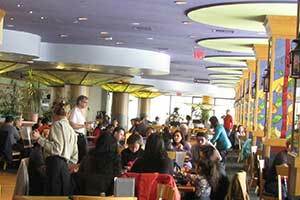 Overheard at the International Cafe in Austin: A man does not have to be an angel to be a saint. “Always Lost: A Meditation on War” will be on exhibit February 1 – March 11 at the Boulder City Library. 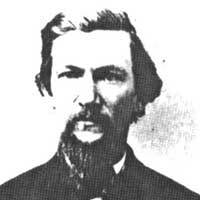 In 1863 William Wright (Dan De Quille) was a reporter for the Territorial Enterprise in Virginia City. One day he needed to borrow a shirt from his roommate, Sam Clemens (Mark Twain). Here is the story he wrote about it for the Golden Era in San Francisco. The heart of this unique war memorial is the Wall of the Dead, individual faces and names of US military war personnel who perished in the Iraq and Afghanistan wars since September 11, 2001 . . . 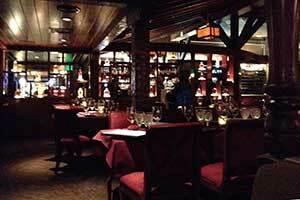 Step right along in Carson City on February 6 during the Downtown Wine Walk . . . Up the hill in Virginia City go see Antsy McClain and the Trailer Park Troubadours at Piper’s Opera House on February 12th . . . On the weekends of February 12-13, 19-20, 26-27 you can take in the Murder Mystery Dinner Show at Gold Dust West in Carson City . . . Devil Made Me Do It Saloon Crawl – February 13, 11 am – 5 pm is a pre-Valentine’s Day self-guided tour of Virginia City Saloons. It’s unforgettable unless you wake up the next day and can’t remember what happened . 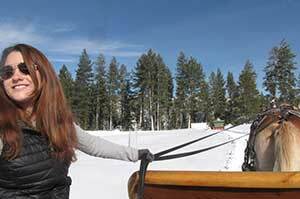 . . Carson Valley hosts its annual Eagles and Agriculture event on Feb 18th through the 21st . . .
Next door in Carson City, check out a International Film Weekend on February 18th at Boldrick Theater . . . Test your metal at the USA Taekwondo US Open and Olympic Team Trials in Reno that kicks off on February 2nd and last through the 7th. 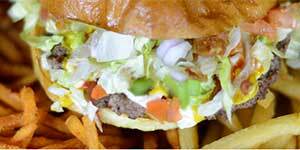 The “Big Easy” comes to Reno at the 24th Annual Reno Mardi Gras on February 9th . 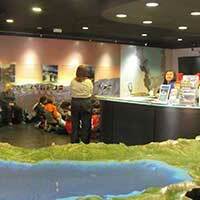 . .
Take your special someone to History in the Buff at Wilbur D. May Museum, Rancho San Rafael Regional Park. The event starts on February 12the and runs through the 14th. 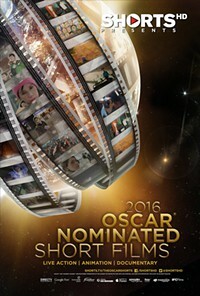 You won’t want to miss the 2016 Oscar Short Film Festival at the University of Nevada Reno on February 19th through the 21st. Give a big thanks to KUNR and Joe Crowley Student Union for hosting this great event. . . . Up the mountain in Lake Tahoe come out to the Full Moon Snowshoe Tours at Hellman-Ehrman Mansion on February 20th. Mother nature has so far delivered a bounty of fresh power to the numerous resorts in the Sierra Mountains. 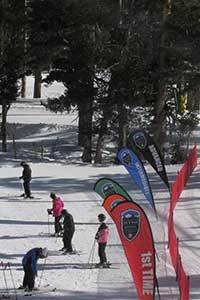 There is now a bluster of snow enthusiasts, scouring the area for lift ticket deals and cool events. They will surely find Sierra at Tahoe’s Huck Cup a satisfying adventure. The event starts on February 25th and lasts through the 28th. But that is not the only snowbound excursion to consider just south of Lake Tahoe is the Rahlves Bonzai Tour at Kirkwood Ski Resort. This event begins on February 27th and runs through the 28th . . . But that’s not all, on the west side of Lake Tahoe you can go to the Alpenglow Mountain Festival on February 20th through the 28th. The event is dubbed a “celebration of human-powered mountain sports, events, clinics, equipment demos, presentations, film and more”. 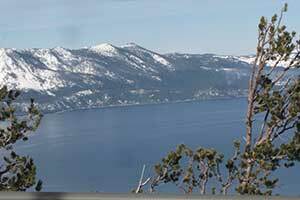 On the north end of Lake Tahoe you can also attend the Glowstick Parade and Carnival at Tahoe Donner on February 20th . 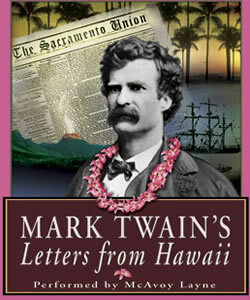 . . For those who seek a break from winter weather and steep slopes can seek refuge at Mark Twain’s Hawaii & The Diary of Adam & Eve reading on February 19th . . . If you’ve ever wondered who J.W. 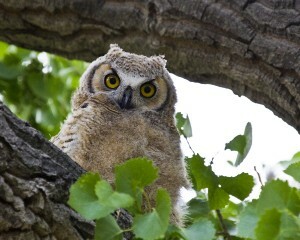 and Annie Davis were, mark February 25 on your calendat for the lecture at the Nevada State Museum: J.W. and Annie Davis: Their Riveting Lives . . . And since the winter season has been so generous, here is the icing on the powdery winter snow-cake, “This year is a leap year! 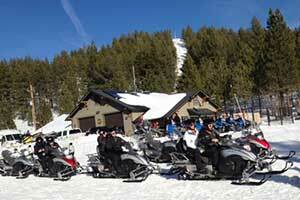 To celebrate Tahoe Donner Down Ski Area is are offering free lift tickets”! 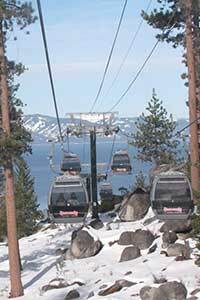 That’s right on leap day, the 29th of February go skiing for free at Tahoe Donner – Click Here for details. Need to sharpen your ski or snowboarding skills? 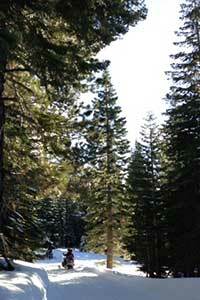 Then Ski with a Ranger at Heavenly. This awesome opportunity is available on Mondays and Fridays all of February, and lasting until April 1st. Towering above Reno at Mt Rose Ski resort come see the best of the best of Nevada’s youth compete NIAA HS State Championship on February 9th and 10th. . . Out east of Highway 50 is Nevada Northern Railway’s Winter Photoshoot with two events one on February 5th through the 7th and on the 12th through the 14th. Nearby at Ward Mountain Ski Recreation Area is the 2016 Bristlecone Birkebeiner that is scheduled for February 20th. Ward Mountain Ski Recreation Area. 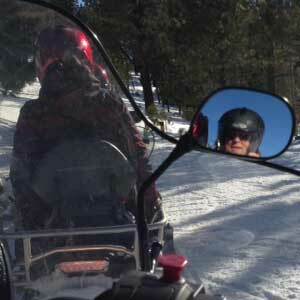 Out east off Interstate 80 in Elko go Snow Mobiling in the Ruby Mountains! With so much snow this season, the conditions are perfect!. 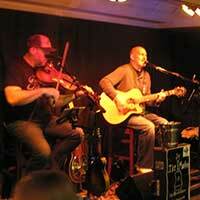 . . Down south is the Mesquite MusicFest that starts on February 15th and runs through the 17th at Casablanca Resort . . . In Laughlin on February 20th check out the Polaris RZR UTV World Championship Desert Classic . . . A short distance up the Colorado River in Boulder City is the Mardi Gras Masquerade benefit auction on February 6th. 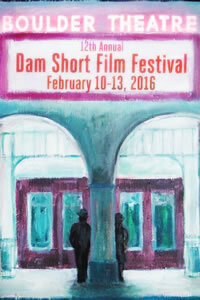 Also in Boulder City is the always entertaining Annual Dam Short Film Festival that starts on February 10th and lasts through the 13th. . . In Las Vegas celebrate the Chinese New Year at the LINQ Hotel and Casino on February 8th through the 14th. Or on February 13th join in the fun at St. Baldrick’s Foundation Lepre-Con in Las Vegas’s Town Square. Be dazzled and awestruck as the Mrs. Nevada America Pageant commences on February 28th at the Suncoast Hotel and Casino. 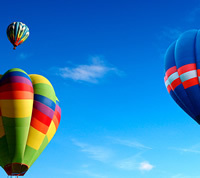 On the southwest side of Nevada go to Pahrump’s Annual Balloon Festival. The event starts on February 26th and runs through the 28th. 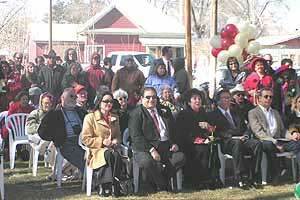 On the west-central side of Nevada, Tonopah hosts it’s annual Elk’s Crab Crack-Dinner & Dancing on February 27th . . . Just east of Reno off Interstate 80 Fernley hosts it’s Annual Good Times Dance on February 9th the fun starts at 6pm on the corner of Main Street and Center Street. 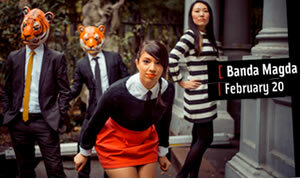 On February 20th, the Churchill Arts Council in Fallon hosts must-see concert from Banda Magda a brooklyn based musical collective. Click Here for details . . . Father-Daughter Day & Dance February 27 in Virginia City will be full of daddy-daughter fun including candy, a flower for your girl, lunch for two, old-time photos and two tickets to the dance . . . Also on February 27, Winter, Wine, & all that Jazz at the Brewery Arts Center in Carson City . . . And the next afternoon from 4-6 pm there is a concert Madeline Eastman w/ Carson City Symphony at the Carson City Community Center . . .
A unique fundraising event brings Ray Bonneville, one of the best harmonica players alive today, accompanied by Richie Lawrence, to the Silver City School House Community Center February 28 at 5 pm for a suggested donation of $10 or $20. Read more of this post, or visit the Silver City School House event page.